← Amazon Pays Advances for Your Book? 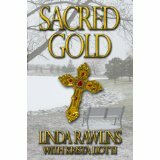 I would like to thank Linda Rawlins, author of Sacred Gold, for being here today. She has a very fascinating background as well as a very busy life! After the interview, I will give my review on Sacred Gold. Take it away, Linda! Tell us a little about yourself that isn’t in your bio. What is your typical day like, or whatever you would like to share with your readers. I am a family physician who is trained in Geriatrics and Forensics. 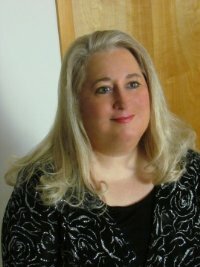 I also have worked for 25 years in Hospice as a Medical Director, in charge of treating patients and educating my clinical teams. I love nature, biology and the beach! Have any authors influenced your writing? How? I have loved to read since a small child. I finished all the Nancy Drew/Hardy Boy Mysteries by the time I was ten. In fact, I started to write my first mystery in fifth grade similar to Nancy Drew but I only managed three chapters. Then I dug into my grandmother’s mysteries written Phyllis Whitney, Mary Stewart, Mary Higgins Clark, Lillian Jackson Braun and Agatha Christie. During high school, I started to focus on Sciences and my reading outside of Science and Biology related text books drifted to The Hobbit and J.R.R. Tolkien. After that, I began to read The Chronicles of Thomas Covenant by Stephen R. Donaldson. I continued with mystery and also added in some horror with the books of Stephen King, Peter Straub and Dean Koontz. In college, I studied Jane Austen, Charles Dickens, Charlotte Bronte and other works of English writers. In between assignments and my Biology textbooks, which I always loved due to my affection for anything in nature, I’d continue to read mysteries. Currently, I love to pick up a good book by James Patterson, JA Jance, Catherine Coulter, Kathy Reichs, Lee Child, Patricia Cornwell, Michael Crichton, Donald Bain, Iris Johansen, Sister Carol Anne O’Marie, Fern Michaels and C.S. Lewis amongst others. Do you write in the same genre as your preferred recreational reading? What genre do you read in your spare time? I do read a lot of mysteries, thrillers, with some sci-fi as well as medical literature. Currently, I read a lot of inspirational faith based books as well. What is your favorite part about being an author? Your least favorite part? I love to write – I love interacting with characters in my head. I really love hearing from readers who have enjoyed or were inspired by reading one of my books. My least favorite part is extensive editing because I need time in between reads to keep a fresh perspective. If given the opportunity to sit down and talk to your favorite author, living or dead, what would you ask him/her? How would you answer the same question regarding your own writing? I would like to talk to C.S. Lewis. I’d want to talk about life, dreams, hope and experiences. I believe that is the substance we write from. I would talk about the same to him. At what age did you start writing and when did you decide on writing as a career choice? I was an avid reader as a child. By fifth grade, I had read all the Nancy Drew/Hardy Boy Mysteries and started to write my own mystery story while I was in fifth grade. My teacher then showed me a book he had written which inspire me to write all the more. Do you incorporate any of your favorite things, places or hobbies into your books? Yes, I do incorporate places or similar places that I love to visit or are familiar with. I also incorporate some of my favorite interests or hobbies into the books. We are taught to write “what we know”, so using our favorite places or hobbies makes it that much easier. What movie (if any) do you refuse to watch no matter how good people say it is? What book do you refuse to read? Why? I refuse to watch 50 Shades of Gray or read the book. I prefer to stay with spiritual/mystery content. Do you have a favorite character either from your own work or another author’s? This is a hard question. I love the characters in my books and that’s why I write about them. They tell me what to write as I am drawn into their world. The reason I continue to read works by other author’s is that I enjoy visiting the world of their characters. If I don’t connect with a protagonist, I usually stop reading a series. I usually enjoy the protagonist from mystery novels – for example, Jessica Fletcher, Father Dowling, Librarian Charlie Harris, Bookshop Owner Penelope Thornton-McClure, and Sister Mary Helen. I also like Brother Odd. Tell us a little about your most recent protagonist. Dr. Amy Daniels is a trauma surgeon who left a busy career in Boston when she found out she had saved the life of a criminal responsible for killing her sister and placing her niece in a coma during a home invasion. She transfers to a small hospital in Vermont, with the hope of healing herself while continuing to have some presence in medicine. While there, she meets a psychologist priest who helps her work through her distress, while working through some of his own. The two pair up to solve mysteries and protect the life of a candy striper named Willow in my first book, The Bench. They continue to solve mysteries and work out their relationship in Fatal Breach and Sacred Gold. Do you plan another series after (or concurrent with) this series? Yes, I have another mystery series in the works that will take place on the Jersey shore. Takes place on the Jersey Shore and will hopefully be ready in a couple of months. What inspired you for this particular book and your series? The Rocky Meadow Mysteries were inspired as a respite from medicine. I spent a lot of time in a State Park near Rutland, VT while going to high school. I just fell in love with the area. What a great place to combine everything I love – nature, mysteries, medicine, spirituality and the concept of relaxing on a bench to get closer to God. How do you think you have grown as a writer since you first began? I continue to grow daily. I’ve learned a lot about writing – the process, the expectations, the editing and the overall publication process. I continue to learn on a daily basis as I continue to write but also as the industry is currently in a state of flux and is changing regularly. Did you begin Sacred Gold knowing what was going to happen? I had a basic outline in my head. I know where I want to start and how I want to finish but for much of the middle, I am a pantser. How much outlining do you do, prior to writing the story, or do you plunge right in? Plotter or Pantser? I have to have a basic outline – I think of it as a skeleton. I have the basic lay out. As time goes on, I add color, substance and story to complete the process. Many writers have quirky writing habits. What about you? I do a lot of writing in my head at 4am. I sit at the typewriter at a different part of the day to put my thoughts on paper. I try to use music, movies, photos, or other things that will help set the scene. Sometimes, I actually have to act certain things out to make sure it is correct. I am a visual person so when I write, I am usually transcribing the vision or scene I see in my head. Do you write from the beginning to the end, or do you write individual scenes and later string them together? I will try to write from beginning to end, one chapter at a time. I have swapped the place a chapter lies in a novel if I feel it gives the story a better flow. Are your characters based on total imagination or based on any real people that you know or have known in the past? Some of my characters are made up from experiences I’ve had with various people I have met over time, but not one single person. Others are purely fictional. I like mystery, but my writing has been said to touch on mainstream, women’s fiction, part inspirational and slightly romantic. I know that you have a very demanding full-time job. Is writing a sideline for you or do you intend to become a full-time author in the future? I would LOVE to be a full-time author in the future. I do have the vision of writing on my laptop on a beach or while sitting at a tiki bar somewhere next to an ocean and a reggae band. It’s certainly a dream. I read reviews and try to have an open mind as I know that different stories appeal to different readers. However, if I see a lot of reviews stating that a book has gratuitous language, violence or sexual content, I would probably shy away. I do read what the reviewer writes and consider all before purchasing a book. Thanks, Linda! I know that was a lot of questions, but so interesting! Now for my review of Sacred Gold. Sacred Gold is the third book in the Rocky Meadow Series, but you would never know it. There is none of the feeling that you have missed something and that you’ll have to read the other two books first to “get it.” It works well as a stand alone book, but I think you will want to read the other two if you start with this one. I know I do! The setting is in snowy, Rocky Meadow, VT, during the Christmas season. Dr. Amy Daniels, the acting medical examiner, finds herself in a quest to discover a hidden treasure. With the aid of an old journal and a very handsome church pastor, Father Michael Lauretta, she sets out to find the treasure and keep it safe. They enlist the aid of a trained Italian curator, but little do they know that they are not the only ones seeking this treasure. Danger ensues and lives are at stake as they try to get to the treasure before the greedy would-be thieves do. This is the only description I will give, because I would definitely not want to spoil it for you. The characters are usually my biggest interest, so I will start there and give you my breakdown. CHARACTERIZATION: The characters were some of the best I’ve seen. They were developed well and you cared about each one of them. PACING: The pacing was just right. It was exciting and didn’t drag in the middle as many books from new authors tend to do. I was quite impressed. This is not an easy balance to achieve, I know. I am working on that on my work in progress. GRAMMAR AND TYPOS: As many of you know that have read my reviews, I can be quite a stickler in this area. Frankly, I did not detect any errors in this section, so that is a big plus to me. I love Linda Rawlins books. I can’t wait to read the next one, especially since she said it takes place at the. ‘Jersey Shore ‘! I read her books from cover to cover as soon as they come out. Dr Amy Daniels is a person you would want as your friend… Smart, loyal, good to her family and friends. Absolutely! I found a quality in her book that i don’t see much in many beginning authors. Thank you so much for commenting! I am sure that Linda will be pleased too! Did you by chance leave a review on Amazon for the books that you’ve read? That would be a big help iin other readers learning about her books. It doesn’t have to be elaborate, just a few lines like you said here. 🙂 I hope you will come back to my blog often.